The Indianapolis state has initiated plans that will see the state’s lottery shifting ownership from public arms to the private sector. This is all in the aim of maximizing the revenues from the lottery through enhancing efficiency in its operations. The step taken mirrors that of the Illinois and Pennsylvania state lottery games. A national lottery commission vote endorsed the plans for the privatization through passing a 3-0 vote on Wednesday. The move could prove beneficial to the lottery, as it will have the opportunity to tap the expertise of professional lottery operators. 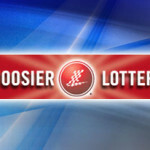 The Hoosier lottery officials estimate that the plans for the privatization will be complete by September and the lottery will officially start receiving the bids from potential lottery operators. The privatization is part of the state’s long-term plan to enhance efficiency in its service delivery. Privatizing the lottery gives the opportunity for the states Government to focus on its core duties while at the same time increase the revenues from the lottery. The plans have the backing of the Indianapolis Governor, Mitch Daniels. The state lottery is a major contributor of funds to the state coffers. The sales of lottery tickets in the last fiscal year earned the state government $188 million. 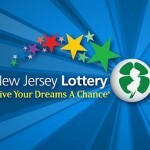 Analysts predict that the move could later lay down the framework to have an online platform for the popular lottery games. 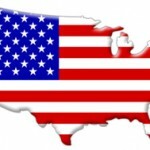 The move by the US Justice Department to reverse its stand on playing online lottery triggered the action by the US Lottery games to introduce online lottery to their players. Hi, my name is Marry and you can find me on Google+. 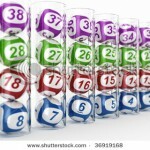 I`m a little bit crazy about the lottery and writing about it is my real vocation. 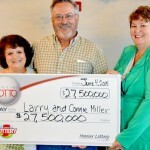 The lottery is a cool thing and I don`t share the opinion that it`s a tax on the poor. Look around, the world is full of chances. Why don`t you get yours right now? All you need to do is to read our recommendations and to start playing lottery online. Good luck!